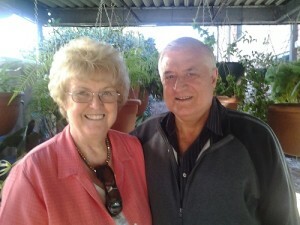 Terry and Jean Menkens Golden Wedding Anniversary!!!! Former Stanborough Secondary School teacher Terry Menkens and his wife, Jean, celebrated their Golden Wedding Anniversary on June 6th. Originally from Australia, Terry came to Watford in January 1964 to teach at Stanborough Secondary School. This proved to be a life-changing experience as this is where he met his wife Jean who had left her native Lowestoft to work in the Treasury Department at the British Union Conference Office on Stanborough Park. They married the following year at the Stanborough Park Church in Garston where Terry now supervises the ongoing maintenance of the church buildings, conference centre and grounds. They enjoy having an expanding family with two children, Troy and Fiona, two grandsons, one granddaughter and one great-grandson. Originally published in the “Journal of the Seventh-day Adventist church in the United Kingdom and Ireland, Messenger: 11 September 2015” and is reprinted with permission.